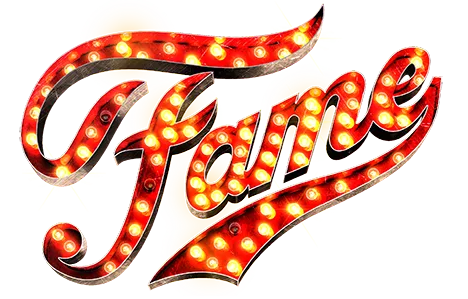 Evie Freeman chatted to the current UK Tour cast of FAME. 30th anniversary tour, how crazy is that! JORGIE Of the most amazing show ever! KEITH Crazy, mental, fun, exciting! MICA It’s history you know. This show was the first of them. Everything else was borrowed from Fame. When I was a kid, this is what we were featuring. Before X-factor and the internet and all that kind of stuff, we would run home to watch Fame. We were obsessed with it! That was THE show. But also, the reason it was powerful is that there were no gimics; it was very organic and it had darkness. These kids really did die from drug overdoses, for example. JORGIE It’s really gritty. What we’re dealing with is real life. MICA Tragic is what they don’t do now. It’s so PC now that when you watch these kinds of shows, it’s all ‘Hollywood’ and loveliness. They don’t show you the dark side, but that’s what was good about Fame.. it did show you that dark side. Do you think it shows a truthful side to this industry? KEITH I think it does. You can see people going through that hard time, and you can see people having the fun as well. You know, we’ve done two runs, and both times, as a cast we’ve been in tears. That’s so important though, it shows that it makes you feel things! KEITH And then obviously we come in at the end and sing fame and its happy again. But it does take you on the big journey which college is. JORGIE And as you’re growing up and going through life you experience different things like relationships and different people..
MICA The coming of age moment is such a powerful moment in everyone’s life. You never forget what you went through because it’s such an amazing time. It doesn’t matter how old you are. Fame captures that. You trained as a ballet dancer. Has it been a long time since you got your ballet shoes out? What’s it been like? JORGIE 10 years! The ballet shoes I’m wearing today don’t even match! It has been a big old circle. You know, I got into TV, luckily, but through that whole time I had no time to train. So now, I’m trying to find the part of my brain that tells my body what to do. And fast as well! Nick Winston is incredible but when he’s like 1, 2, 3, 4, I’m like “4 what?!”. KEITH He choreographs a move on every word it’s insane! How long do you have to learn each routine? JORGIE It’s taken a while, and obviously, you go home and practice, and at lunchtime you go over stuff. MICA I wish someone had filmed that! That’s a film right there! Do you see similarities between yourself and your characters? KEITH Massively. One of the hardest things about coming out of a reality TV program is proving yourself. When I chatted with Nick, the director, in the audition I said, it’s funny because one of my lines is “I want to be a real actor and not just some TV hack”. Even now when I go to castings, people will go, “oh no, you’ve done that joseph program”. So, I’ve had to be smart with what I’ve chosen to do over the past few years. I have worked with some great directors who have taken me seriously! But yeah, I do relate to him because I had to go away and learn my craft differently because although I did a lot of amateur stuff, I didn’t train. This stuff that Nick is going through is very much how I felt after I came off the program because people were like “go on then, prove it to me”. MICA There are many ways to skin a cat! I think it’s wonderful that there are many ways to become successful. People shouldn’t be so judgemental and say, “well just because you’ve done reality TV doesn’t mean you don’t have the skills”. Nowadays, sometimes that’s the only way you can get in and it shouldn’t doubt you as a talent. In my time, you got signed because someone saw you singing in a club or a church. But it’s all different now, however it doesn’t lessen the lift. JORGIE I always wanted to be Iris. I was the kid who wanted to be a ballerina but ended up being the hip-hop kid who was swinging off the bars because I just wanted to dance! So, I do relate to different characters in the show. At college, there would be boys you fancied and teachers you were desperate to like you and you would do anything they said. You’ve all been on TV, but what’s the transition going back to theatre? Obviously with TV you can do multiple takes but that’s not the case with theatre. KEITH Even though it was a TV show they still trained us like MT students. We rehearsed in the day, and had 5 or 6 new songs to learn for each weekend. So, I spent 13 weeks with Andrew Lloyd Webber, John Barrowman, and other amazing people in the industry being told how to do it all. It was like a crash course with the best of the best. Why should people come and see fame? JORGIE You will be an emotional wreck, but you will also be up in your seats. It’s sad, it’s happy, it’s entertaining. You go with the journey. You’ll not be able to help loving people and you’ll be able to connect to them. MICA If you don’t like this show, you’re not right! It covers love, coming of age, the dark side of fame. Plus, you have great songs, great dancing, an amazing cast, I mean, what else could anyone want?! KEITH It’s got something for everyone. And the show has a massive amount of heart as well.